After looking a bit into Docker, I went on to look into Vagrant, another well-known tool to provision and configure virtual machines. 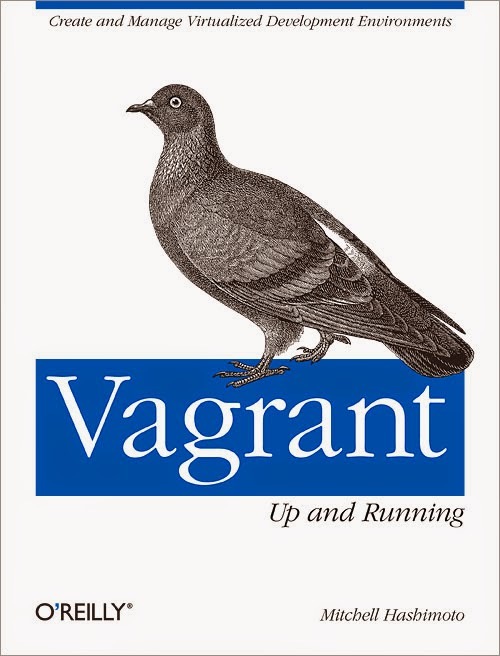 To learn about Vagrant, I read the book "Vagrant: Up and Running". This O'Reilly book is well-written and the examples all work. While doing the exercises on a Windows Server 2012R2 VM, I hardly encountered any problems. Starting the Ubuntu VM with the vagrant up command and removing it with vagrant destory. The Vagrant command line tool allows to create a Virtual Machine in a reproducible and neutral manner. Vagrant was initially developed around the the free VM product Oracle VirtualBox. But Vagrant now comes with many other providers, e.g. AWS, Rackspace, IBM SoftLayer and Microsoft Azure. Support for VMWare however is not free ($79). Vagrant focuses on the creation of Virtual Machines in a neutral manner. Contrary to Docker, it uses an actual Virtualization solution to provision the virtual machines. This allows Vagrant to support multiple Operating Systems in parallel. And offers support for automating the creation of Windows based virtual machines. When Vagrant is used in combination with Oracle VirtualBox, Vagrant will use the VBoxManage.exe of VirtualBox. To create machines with a cloud provider, the respective Vagrant provider will leverage the API and tools of the specific Infrastructure-As-A-Service solution. Vagrant configure all sorts of attributes of the virtual machine, incl. e.g. networking (and port forwarding). For the actual provisioning of the machines, Vagrant supports many options, including command line. But most often, Vagrant will be used in combination with Chef or Puppet. E.g. the Chef development kit uses Vagrant as its default "driver". Vagrant does not start from an ISO image, but from an already prepared "box". The more such box is pre-configured, the fewer configuration needs to be done afterwards. Vagrant uses its own software format to package the virtual machines that are taken as a starting point (compare to Amazon Machine Images). Vagrantbox.es and many others make pre-packaged Vagrant boxes available. The company modern.IE makes Windows boxes with all sorts of IE versions available. Boxstarter leverages Chocolatey packages to automate the installation of software and create repeatable, scripted Windows environments. In my own domain of Application Integration and SOA, I expect that both vendors and customers will pickup tools such as Vagrant for creating and provisioning (virtual) machines. Combined with Chef or Puppet to actually install and configure the software on these machines.